The controversial player is cutting ties with the Texas Overwatch team. Today, the Dallas Fuel Overwatch League team has announced that the team has parted ways with controversial player Félix "xQc" Lengyel, in a move the organization is calling a mutual agreement. The news comes after Lengyel received his second suspension from the Overwatch League. 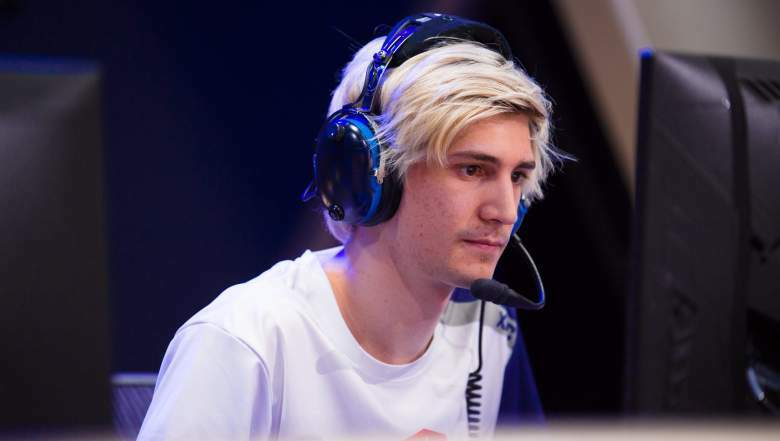 XQc has been at the center of months of controversy after repeatedly facing disciplinary action from the Overwatch League over everything from making homophobic remarks against a fellow league player, to accusations of using emotes in a racist manner. "There are few players out there who have achieved as much success in as short a time as Félix has in competitive Overwatch. Ultimately, it was in the best interest of our organization and Félix to part ways before the expiration of his contract," said Dallas Fuel owner Mike Rufail in a statement. He added that "Releasing Félix today allows us the flexibility to make additional signings during the league transfer window and allows Félix to pursue other opportunities this season and on stream." Earlier this week, xQc received a four match suspension effective March 12 and fined $4,000 for repeatedly using an emote in what the league describes as a "racially disparaging manner" on the official Overwatch League stream. He was also punished for using disparaging language against the Overwatch league casters, calling them "cancer" on Twitter. This was the second disciplinary action taken against xQc after he was suspended for four matches and fined $2,000 back in January for violating the Overwatch League Code of Conduct after he was caught using a homophobic insult against another Overwatch League player. Thanks to the many suspensions xQc, who normally plays tank for the Dallas Fuel, would have been effectively benched for the remainder of the season. Cutting ties with xQc means that the Dallas Fuel can pursue other players to join the team during the Overwatch League transfer window. During a personal stream, xQc hinted that he might be stepping down from the Fuel thanks to his recent string of punishments, but at the time fans believed he was joking. It is unclear if he was hinting at today's departure. As a repeat offender, xQc's reputation began drawing questions as to how the Overwatch League handles players who breach the rules of conduct, which was only recently made public. After last week's string of punishments to various members of the Overwatch League, including fellow Dallas Fuel player Timo "Taimou" Kettunen for using an anti-gay slur, it seems as though the league is taking a less tolerant stance over players' behavior outside of league settings. Tagged with Blizzard Entertainment,	Esports,	News,	The Overwatch League.